Addicted to brainy challenges? 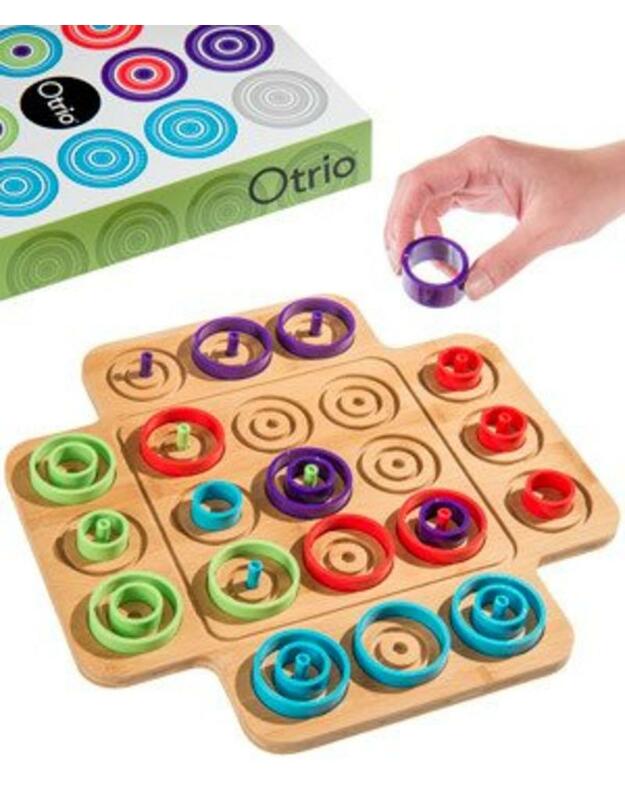 Then fire up your competitive side with Otrio, the head-to-head strategy game! To win, get three pieces of your color in a row based upon similar size; lined up in ascending or descending order; or within the same space as three concentric pieces. The rules are simple but the game is complex! Depending on the wit of your opponent, you may need to sharpen your strategic skills and exercise critical thinking!